Democratic candidate Phil Murphy was elected governor of New Jersey on Tuesday night, beating Republican Lt. Gov. Kim Guadagno in the race to replace term-limited incumbent Gov. Chris Christie (R.). Murphy morphed from a Goldman Sachs executive to a diehard progressive, campaigning for a $15 minimum wage, the legalization of marijuana, and standing against President Donald Trump, the New York Times reports. He also served as United States Ambassador to Germany during the Obama administration. 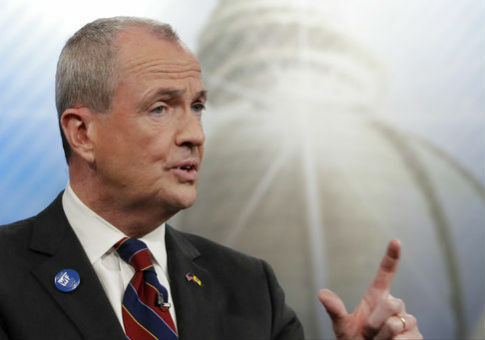 Murphy's win bucks the trend of the state electing moderate governors, but Republicans have long been expected to lose the race, as Christie is one of the least popular governors in the country. In his pitch, Murphy told voters that New Jersey is "broken" and needs higher taxes on the wealthy. This entry was posted in Politics and tagged Chris Christie, New Jersey. Bookmark the permalink.